Formula 1 has a grand plan for 2021 - to cut costs, cap spending, reduce complexity and increase competition. F1's new owners wish to create a utopia of grand prix racing, with spectacular races delivering unpredictable results in front of huge numbers of fans. This is a vision Fernando Alonso surely wants to see realised too, having spent time during more than one FIA press conference recently bemoaning the "sad" predictability of F1's current competitive order. It is little wonder Alonso is upset. He hasn't won race since 2013, and hasn't stood on the podium for 73 races. The last time he started on pole position for a grand prix, Michael Schumacher was still racing, Formula 1 had V8 engines, and Max Verstappen was still at school. After qualifying eighth for the recent Spanish Grand Prix, Alonso described F1's top three teams as "in another league", while Kevin Magnussen felt he had effectively qualified on pole position and won the race, such was the yawning chasm to his 'Class B' Haas and the cars ahead. Political wrangling must still be endured before F1's new owners can implement their grand plan, but imagine a world where this has already come to pass. In 2017, we decided to remove the big three teams from Formula 1 to see what would happen to the world championship and whether it would be better off without them. We asked Joao Paulo Cunha, curator of the Forix database, to reimagine the championship with Mercedes, Ferrari and Red Bull absent. At the time, our data set only included the first four races, but it produced some interesting results, suggesting F1 would experience greater levels of individual driver dominance and larger winning margins in the first four races compared with the real battle between Mercedes and Ferrari, but closer competition throughout the remaining field of 14 cars. 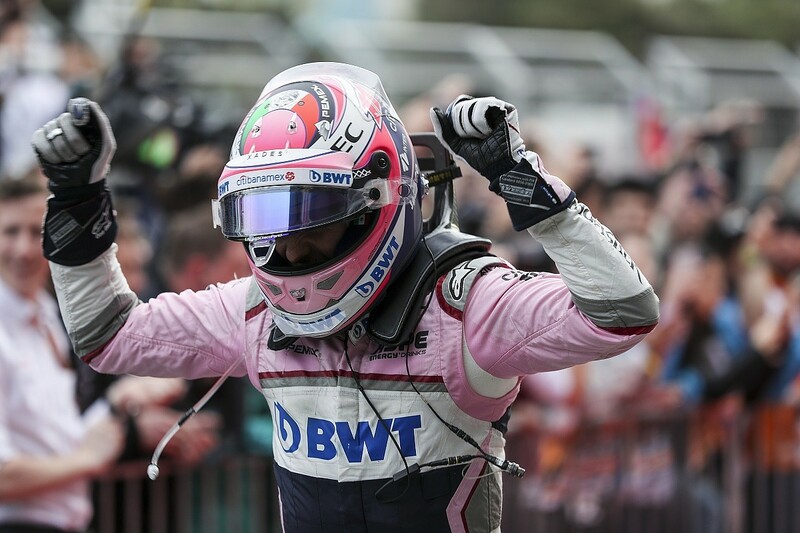 Our alternative championship had Sergio Perez leading the way after four events, and that alternate reality has since played out to completion on Forix, where Perez ultimately went on to claim the title - resisting a late charge from rookie team-mate Esteban Ocon (shades of Damon Hill versus Jacques Villeneuve in 1996) to claim the crown by just 16 points. No 'wrap the title up with two races to spare' shenanigans here. 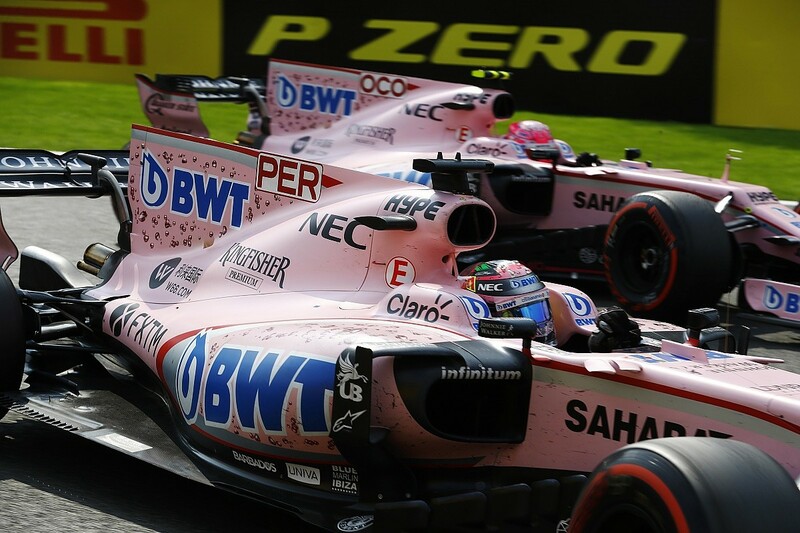 Perez and Ocon won four races each - Ocon winning three of the last four to take the title battle to the wire. In total, eight different drivers won grands prix across the season (three more than did so in the real 2017 campaign), including Alonso, who beat all comers in Hungary but finished ninth in the championship for McLaren-Honda. Imagine Mercedes, Ferrari and Red Bull stayed away this season too - Mercedes deterred by the "not achievable" budget cap Liberty proposes and angered by Formula 1's desire to dumb down the current hybrid engines and neuter the miraculous hybrid technology that so enthuses its power unit chief Andy Cowell. 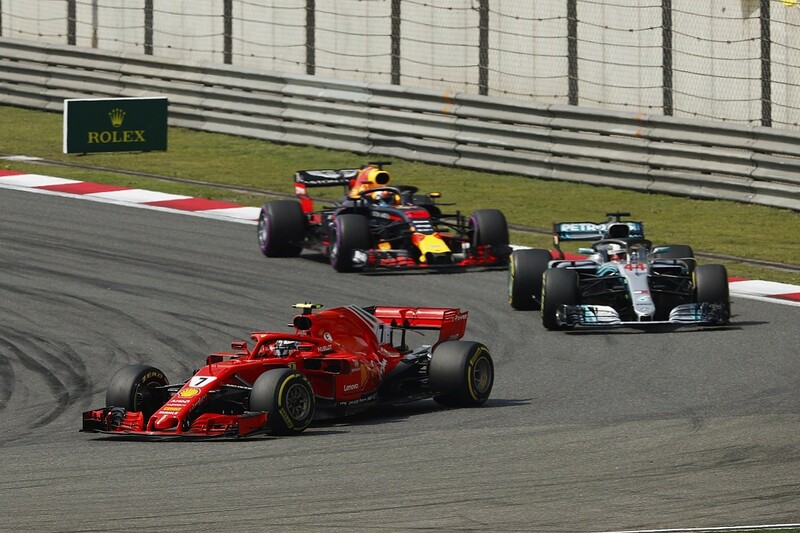 Let's say Mercedes joins its 'best frenemy' Ferrari in quitting grand prix racing ahead of the renegotiation of rules and commercial contracts for 2021. In a (not so) shock move, Sergio Marchionne makes good on threats he has been making since the draft engine proposals were first released in late-2017. The Scuderia decides the new LMP1 rulebook is the place to rediscover its power of veto. Imagine Red Bull decides it has had enough too. Losing faith with Renault and unable to secure definitively better propulsion, Dietrich Mateschitz sells his junior Toro Rosso team to Honda - desperate to continue after acrimoniously splitting with McLaren - and winds up Red Bull Racing, preferring that Daniel Ricciardo and Max Verstappen use their contracted talents to make caravan destruction derby videos for Red Bull TV instead of racing in Formula 1. Now we find ourselves in a situation where F1's three biggest teams are all out of the picture for a second season in succession. It is down to the remaining seven to deliver the spectacle Liberty Media craves. Fortunately, it seems they are again up to the task. In this wondrous new world, it is McLaren setting the pace in pre-season testing, helped by what look like some 'glory runs' on hypersoft tyres at Barcelona. The new MCL33 is quick but proves initially unreliable with its new customer Renault engine fitted, and keen observers point out dark horse Haas is the real team to watch, thanks to impressive speed on harder compounds. This proves prophetic, as Haas locks out the front row of the grid for the season-opening Australian Grand Prix, with the resurgent works Renault team on row two and the McLaren drivers only fifth and sixth. Eight tenths of a second covers the top seven cars in qualifying. Lewis Hamilton was almost seven tenths clear of the next fastest car in real Australian GP qualifying, remember. McLaren turns things around in the race, with Alonso beating Nico Hulkenberg to victory by less than five seconds after the Haas drivers both suffer catastrophic pitstops while set for a one-two finish. 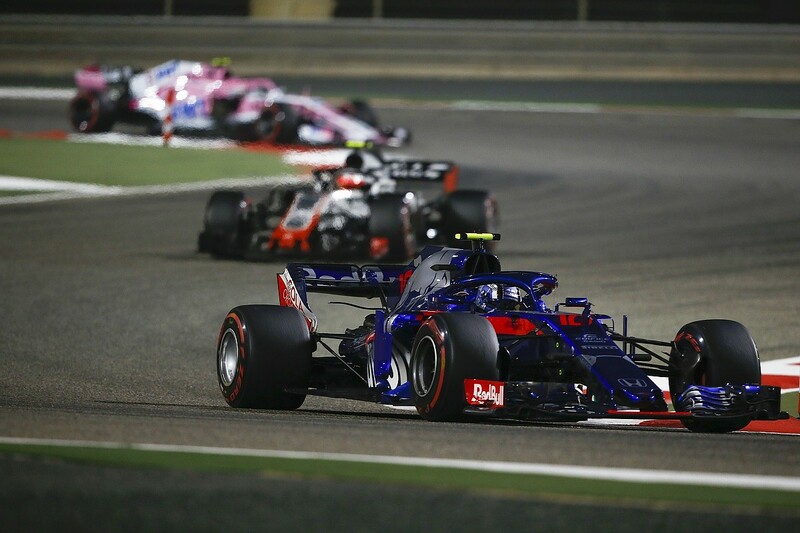 Formula 1 is further shocked in Bahrain, where Pierre Gasly beats Magnussen to pole by just 0.029 seconds and goes on to give Honda the first victory of its new alliance with Toro Rosso - already matching the win tally of its recent partnership with McLaren, after just two races. In China, it's Renault's turn to come to the fore, as Hulkenberg claims pole by two tenths of a second from reigning world champion Perez - Force India finally starting to hit its stride after a troubled start to the season. Problems properly correlating its new car with the simulation tools back at its Silverstone factory have left F1 2017's best team scratching its head so far. But Mercedes power boosts both Vijay Mallya's team and Williams significantly next time out in Azerbaijan, where Ocon and Perez make the most of the long straights to lock out the front row of the grid (eight tenths clear of Sainz in the next fastest car) while Lance Stroll and Sergey Sirotkin qualify fourth and fifth for what has otherwise been F1's slowest team. 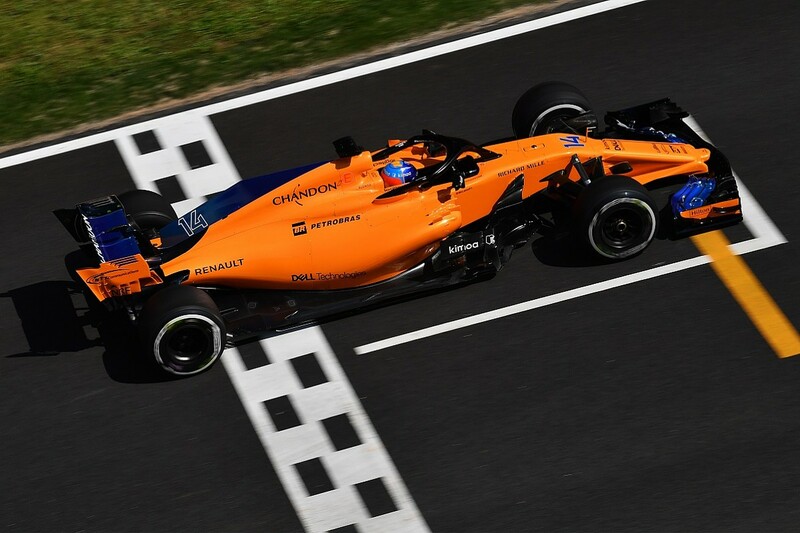 Alonso is only sixth on the grid, as McLaren struggles with its draggy car and a lack of top-end speed, exacerbated by poorly chosen gear ratios. Moves behind the scenes to reshuffle the technical team and correct course with a car that is not as fast or well-developed as expected are already underway back in Woking. Alonso drives a typically combative race to fourth, despite having to pit with damage after a clash with Sirotkin and Hulkenberg on the opening lap, but he is outshone by rookie Charles Leclerc, who claims a sensational podium for Sauber as Perez recovers from his own first-lap incident with Sirotkin to beat Sainz and give Force India its first win of the new campaign - helped by an unfortunate crash for Hulkenberg that hands the points lead back to Alonso. McLaren introduces a major update package for Alonso's home race in Spain, featuring radically different new nose and bargeboard designs. Alonso puts this to good use to qualify on the front row in front of his adoring Spanish public, less than half a tenth away from Magnussen's pole time. But the race proves more difficult, as Alonso is delayed by a first-lap crash triggered by Grosjean - already feeling the pressure after throwing a certain podium into the wall behind the safety car during the previous race - that wipes out Hulkenberg and allows Magnussen to scamper into the distance. 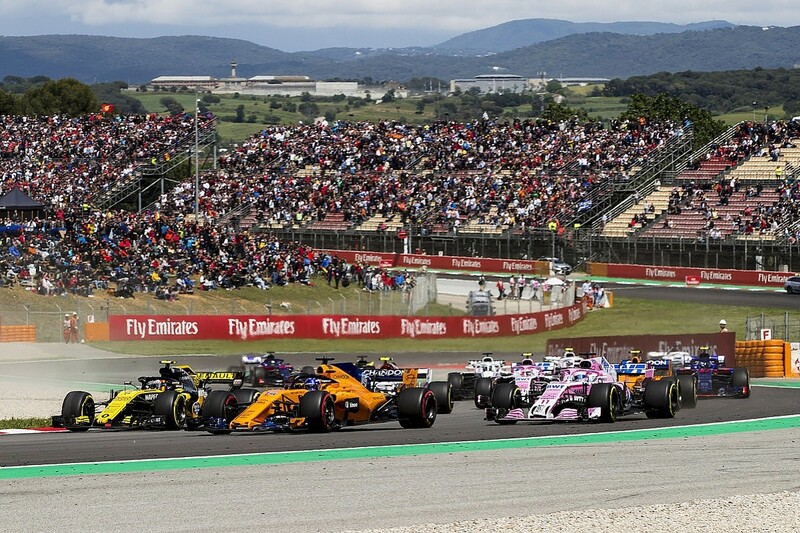 Magnussen is naturally delighted to claim his first victory in Formula 1 in dominant fashion, while Sainz wins the 'battle of the Spaniards' to claim second place from Alonso, despite managing a problem with "fuel dropout" in the closing stages. Force India is again mysteriously off the pace, with Perez having to battle his way up to fourth from ninth on the grid, while 2017 runner-up Ocon's nightmare start to the season continues as he suffers a rare engine failure while decently placed, and drops behind Williams driver Stroll in the points. It's a close-run thing so far, but in this alternative reality, Alonso leads the title race by 15 points after five races and looks on course to finally collect the third world championship most would agree his phenomenal talent warrants. He is one of five different drivers to win races across the first five grands prix of the season and it is not clear heading into each weekend which will be the quickest car - and therefore who the favourite for victory will be. Only Sauber and Williams look properly out of the picture in terms of pure pace, though both teams have managed to disrupt the frontrunners occasionally. Liberty's 'perfect' world is perhaps not so impossible to envisage in the current, volatile political climate, where the "sad" predictability that so disappoints Alonso and urges him to cast his eyes towards IndyCar and sportscars is drastically reduced. By removing the three teams that aren't interested in employing Alonso, he ends up being F1's title favourite and points leader - very much against the odds, given McLaren is on average only the fourth-fastest team across the first five races, which supports the theory that if you close up the competitive spread of the teams there is a greater chance of surprise results. Eliminate the "different league" that frustrates Alonso in reality - as Liberty hopes to do with its 2021 rules package and budget cap proposals - and F1 could potentially be put on a path that creates more of the unpredictable races Alonso and the rest of us would all love to see. Alonso could well end up with a better chance of becoming its champion again too. The collateral damage could be the actual disappearance of at least two of F1's current three biggest teams. It's a high-stakes game with a high price, but it's one F1's new owners may have to be prepared to pay to create the utopia of grand prix racing they, and 2018's alternative championship leader, surely wish to see become reality.